There IS no one way to the true hope for a cure. If you ask me. Living well with diabetes on board is a complicated, challenging and sometimes infuriating thing. We have to fight blood sugars, insurance, and public perception. Sometimes, we have to fight for our kids to simply be able to thrive in school in a fair somewhat less complicated way. Sometimes we have to seek out new tools (or old tools we use in a different way) to tweak the hour-to-hour care that goes into staying alive with diabetes. Sometimes, we just need someone to listen and care. Sometimes, we need a teddy bear with diabetes to hug. When Lauren was first diagnosed, I think I saw it in a simple way. “A cure. A biological cure and that’s IT.” That true and final biological cure is absolutely still my TOP priority, but here are some things that I’ve realized people with diabetes need, and here are some ways we’ve been helped … and even “Cured” of some things, thanks to those two organizations (and some others). –Support. You know, I lived the entire first year of Lauren’s diagnosis almost on my own in diabetes life. It was a dark, sad and scary way to live. My non-d world friends are INCREDIBLE and care so much. But no one — no one — understands this and can help like another person who lives this life. It was thanks to JDF (that was JDRF’s name way back then) that I first found other parents and people with diabetes for us to bond with. It was — and continues to be — transformative. I would argue that way back then, JDRF “Cured” me of despair and isolation, something that has improved my entire family’s life in so many ways. ADA focuses a TON on support, and I’m so thankful for that as well. People need people to survive this. –Progress in daily care. I find it hard to believe that anyone who cares about a person with diabetes who signed the petition is not thankful for the better tools we have. (And “better” means a work in progress — we still need even better while we work toward a cure but gosh, have things improved). Are they using a continuous glucose monitor? If yes, they need to thank their lucky stars that a small group of JDRF volunteers and staff (I can name each of them since I was one of them) decided back in the late 2000’s to painstakingly help individuals fill out the paperwork and fight to have a CGM covered. That work — funded by JDRF and done with strong volunteer partnerships that was and is JDRF’s main ingredient toward every success they’ve had — served as the first baby steps toward nearly universal coverage for CGMS. there is still more work to be done there — seniors need coverage! — but for the tens of thousands of people using CGM’s to improve their daily life with diabetes on board, you have JDRF donors to thank. That push for coverage did something else amazing: opened the floodgates to more competition – and therefore more choices and faster improvements — in all diabetes technology. It might not be pretty to say, but device companies are lured by profit. Seeing more tools covered lures them toward potential profit. Good for them, I guess. But GOOD for my now adult child with diabetes. Choices and improvements in tools to handle her diabetes has improved her life exponentially. Anyone who thinks living on the old-school insulin with a meter that takes a “hanging drop of blood” and a full minute and does not register over 400 is the same needs to go live that life for a month. Or go back 10 more years from our start and try living with no meter at all and one kind of insulin. These changes have not only made my child’s life better, it has probably extended her life. Being able to track and deal with blood sugars in a better way means healthier folks who live longer. One might say she’s been hopefully cured of an early death. JDRF also funded ALL the initial trials to show CGMs worked to improve diabetes life — many of our friends were in them way back then. Those trials paved the way for more, and more. Today we see JDRF and others in real, human trials for wicked smart pumps (Call them what you want — Artificial Pancreas, Bionic, whatever. The idea is a pump smart enough to remove lots of the regular work a person with diabetes does. And they are coming. They really are). I will never, ever think of a smart pump as a cure. But I’m sure my child — and many people with diabetes — will embrace them as a solid improvement in life. 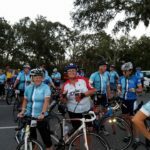 –Better outcome for complications: When Lauren was diagnosed, the doctors and experts would tell you that in 15 years, she would most likely see the start of complications. I can remember counting those years and being so scared, and hearing about other adults with complications that impacted their lives in terrible ways. But today, not just thanks to better tools, we see a different future. I’ll give you some examples. Should Lauren ever have doctors see the start of any possible damage in her eyes, immediate action will be taken. They can use medications to slow and stop it; laser surgery can reverse it. It is safe to say that my child – and probably nearly no other one living in a first world country with decent medical care – will ever go blind from diabetes again. This is incredible. And how about kidneys? When my child was in her rough years, she was put on an already existing oral medication to protect her kidneys from any potential damage. It had no side effects and she came out of those rough years whole. She’s not on the meds anymore and as her endo said to her recently, “You have the labs of a non diabetic person.” I’m old enough to this world to have been around when this was first discussed – via research at Boston University funded by … yep … JDRF. One might say that as they work toward that biological cure, JDRF (and ADA has funded on complications too! ), we’re curing complications. Is that a bad thing? I think it’s remarkable. In our “diabetes lifetime” I’ve seen this change. And via advocacy and fundraising, been a part of it. To me, incredible. We need more research on complications and it’s being funded. To that I say, hurrah. Imagine if it was 25 years ago and I was letting you know my child needed a kidney? Thank god for that research, I say. –School time needs. Kids with diabetes spend a majority of their daylight hours in school. And while that was a breeze for us, for many, many others it is a huge challenge that takes a wickedly crazy fight. To that I say thank GOODNESS For the ADA school program, headed by the amazing Crystal Jackson, she a d-mom herself. Like it or not, with legal issues, (read: fear of law suits), union demands, a cut in school nursing staff and more, it seems to be getting harder for parents to set up a positive school experience for their child. ADA not only helps with information and education, they actually stand up and fight for families when it is needed. They are working hard to cure our diabetes families of school-woes. And that’s so very important. The child who is happy and thrives in school is the child who will grow to be a happy, thriving, independent and successful adult. –Pregnancy and other special time needs: JDRF has tool kits (that come with real-life people support) for pregnancy, work place, newly diagnosed adults, school issues, and more. ADA does too. And you know, these were created when actual patients spoke up about terrible voids in their lives. They were not created to spend money: they were created to actually help people find a way to live in a more positive and healthy way. One of the neediest groups are folks diagnosed as adults. You know, when you don’t have a mom to linger over you, learn it all, find your connections and just plain care, a diabetes diagnosis can be terrifying and even ostracizing. Creating tools and programs to cure that for them is worthy in my book. And as far as pregnancy goes, JDRF has funded much research on how women are cared for and helped through that time. I can now say that while it will be hard work, my daughter with diabetes can absolutely give birth to a child even with diabetes on board. We’ve cured the world of the Shelby situation, for the most part. 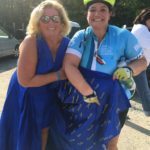 –Partnerships: I don’t know enough about ADA to share if they have any of these, but I know first hand JDRF is all about partnering. 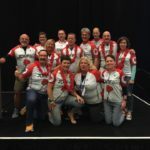 I love that we all as volunteers realized a long time ago that curing diabetes is so complicated – and even making treating it better is so complicated – no one person is ever going to do it on their own. Right now, JDRF is co-funding incredible programs like the DRI’s Biohub, Viacyte’s Encapsulation trial, Doug Melton’s amazing stem cell work and much, much more. I have to laugh when people talk about “competition” in the funding research space because the reality is: my JDRF donations are funding way more than “just JDRF” (as if “just” is even a worthy word here). I love that. I love that they insist on sharing information and partnerships. I love that they demand regular reports back for funding to continue. The quality of those projects is undeniable – and there are more. I totally understand and get folks who want to donate to just one researcher, but I don’t understand dissing organizations for funding many quality programs. –A “Magic Ingredient” discovered: When my daughter was pretty young we were at a press conference with the amazing Sen. Ted Kennedy. He was fielding questions and someone said “Tell me ONE THING this research has actually created.” The Senator was stumped for a moment, and then my daughter spoke up. “May I?” she asked Sen. Kennedy. He gave her the podium and in her pre-teen voice she said “I’ll tell you something this created that has changed my life: Hope. This research gives me true hope and let me tell you, hope is a powerful medicine for someone like me.” Wow. 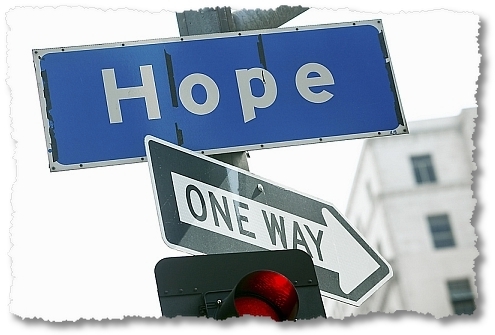 Hope is an elixir that soothes her on her way to a cure. I love hope. So. To answer the question the petition asks: Do I want more to fund a cure? 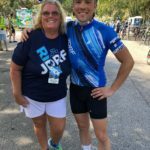 I’m going to ride in a JDRF Ride again. I’m going to attend a gala again. 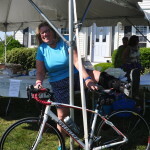 I’m going to donate to my friends who run or ride or walk or swim or whatever for JDRF, DRI, ADA, DSF, CWD … whomever it is they feel a deepest connection with again. We are a normal, middle class family and since my daughter was diagnosed 18.5 years ago, we’ve raised on our own close to a million bucks and we’ve probably brought in via supporting others to do close to $10 million. No lie. If I can do it, you can do it. So if you really want more to go toward a cure, instead of signing a petition and feeling all good, get up and take action. Choose your place of passion and find a way to bring in funds. We do need more for a cure. But we need more for ALL the cures we’ve seen and need to see more of in this diabetes life. To my many, many, many friends who have donated so much over so many years, thank you. And please know, your donations have changed my child’s life for the better and continue to do so. We are already known as the people who have changed diabetes. One day we WILL be known as the folks who cured it. Spot on and well said. Well said and thank you! I so agree! Hannah just got the Dexcom last week….amazing technology that without proper funding and research wouldn’t be here. And until a cure we need all this and more! So well put Moira. My family has found encouragement, inspiration and hope for daily living with Type 1, through more then one organization. For my DD it has come via Camp. Though there are camps through other organizations, the ADA offers the most Camp opportunities and venues in the country. This is where my DD has chosen to invest herself as she waits for a cure. She has even stated that she is glad she has T1 because she would have never known so many great friends from camp. Now she is a camp counselor, where she can give back and be an example. We long for a cure and will keep investing into research. We will also keep investing into all that feeds into her life today, including camp scholarships. We choose not to wait “5 years” lol, to start living! I will not be signing this particular petition. We will continue on with our passion and actions. You are such and inspiration to keep going.Thank you for these words today. Can’t wait to celebrate at the global Cure party with you. Keep em spinning my friend! Very well said and so true. My thoughts exactly. Thank you for writing this, Moira. 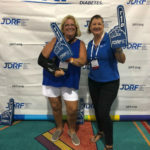 Thank you Moira, for an articulation of why EVERYTHING JDRF does (and ADA does) is so important. 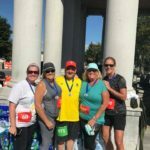 My children have lived for 25-no, almost 26 years with type 1, and have benefited all along the way from JDRF research; we have been fundraisers for all that time, and it gets hard after awhile, but we keep on keeping on, because though we don’t have a cure yet, the difference in treatment is AMAZING. And I was a major part, representing JDRF and Texas Diabetes Council, in getting a school care bill passed here in Texas, but it would never have happened without Crystal, Veronica and Gloria (lobbyists) from ADA-never. The first “cure” won’t be biological, probably, it will likely be an artificial pancreas…a stop-gap but LIFE-SAVING step. Those who are new are probably, like you and I were, sincere and dedicated but short-sighted; this is a difficult disease to live with, and the cure is complex like diabetes itself. We need to help our children stay healthy along that pathway, and that takes money. 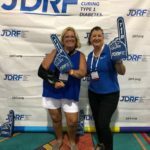 Kudos and love to those who direct the dollars at JDRF and ADA! Well articulated. I agree with Moira 110%. While I desperately want to see a cure for T1D, I know that it’s not in the near future. I do strongly believe that the hunt for a cure will come to fruition, though. Unfortunately, the “NOW” of T1D is a relentless attack that carries very real, life threatening consequences every second of every day. All of our fund raising coupled with the support of the Special Diabetes Program provides opportunity to pursue a cure while also developing therapies and programs. These therapies and programs have saved many, including my daughter. With all of this in mind, I feel that the passing of this petition could carry devastating consequences. A large shift in monetary resources from therapies and programs to cure alone will leave those living with T1D much more vulnerable than they are now. As an UNPAID, Research Information Volunteer for the JDRF, I can confidently relay that I believe that there is a healthy balance in funding distribution. More than ever, I’m also excited to see the sharpest medical minds in the world driving towards a cure while also directly contributing to the rapid development of protective and corrective therapies to reduce the burden of T1D. Hopefully a cure will surface in our life-time. Until then, I look forward to continued progress. Could not agree more. and hey — I helped create the RIV program. Thanks for all you do! Thank you so much Moira – your article was well written. I am so thankful for both JDRF and ADA, but I have been associated with JDRF for a long time and so thankful for their advice and wonderful helpful people that are part of this organization and all of its volunteers. I will be a Type One for 70 years this coming April and do believe that I would not be here today without the advancements made in diabetes research and what will be done in the near future. Perhaps the cure will not happen in my lifetime as I am 84 now, but I am hopeful for the improvements that will come in the near future. At my age, I am still hopeful that Medicare will help persons my age to get improvements in care, such as the CGM being covered by Medicare. This will be a great day for the older people as well as the younger Type Ones who will be on Medicare sooner than they might realize. Send your message for your Congressmen to help get the CGM approved for us elders who look forward to a great life ahead. 70 years! you are a hero! I hope my daughter meets you some day! Hear! Hear! ‘Couldn’t have been better said! This article is FANTASTIC. It’s the response I’ve been looking for in regard to the petition to “fund a cure.” I look forward to sharing it with my JDRF support group — many are newly diagnosed and not really familiar with JDRF and aspects of diabetes research. Thank you! Having Type One for 70 years and now 85 years old, I do still hope for a cure, but at my age I may not see a cute in my lifetime, but am hopeful for all those who follow me. I am hopeful that current research and/or the companies that provide supplies will reduce their costs and Medicare will find a way to help all over 65 to be able to get help through affordable CGMs or other future supplies that are not covered.